$600.00 + GST/participant. Group discount available for 3+ participants. Find out about funding through the Canada Alberta Job Grant available to private companies and social enterprise organizations. 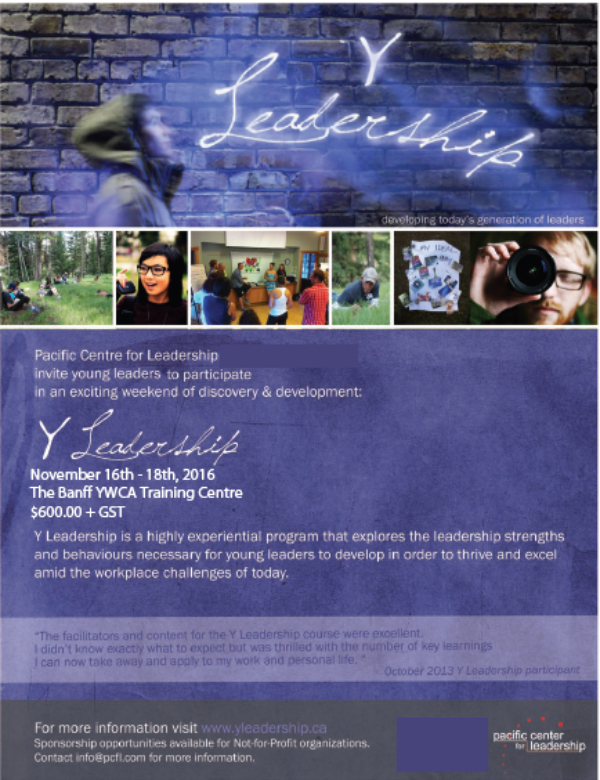 is a foundational leadership development program created to allow the next generation of leaders to thrive as they meet the many challenges and opportunities of the 21st century. 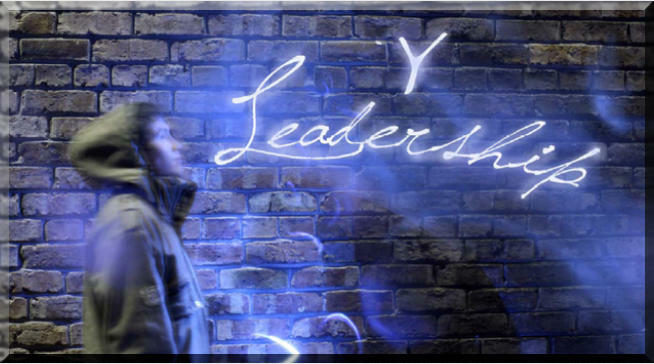 "Y Leadership teaches you how to balance your inner skills with the world around you, and develop your leadership skills accordingly." "An amazing weekend - I learned so much about myself in such a short time". "This was a really fun and interesting weekend. I learned a lot about myself as an individual, as a leader and as a team member. Would recommend this program to managers, but also everyone else who wants to learn about themselves and how they can lead/influence others, not just at work but in everyday life." If you would like to help us promote this exciting program please forward on this website link and/or this poster - thanks!